Riding on horseback, galloping away close to the sea shore amidst the morning is a dream seen by many people. This is because horse riding allows experiencing a sense of freedom which is unique in itself. People start sending their little ones to horse camps so that they can learn horse riding at a very tender age. Horse camps are held in various parts of the world where people get hands on experience about horseback riding. These days, children are initiated into various activities at a very young age that helps them to learn any skill in a fast and perfect manner. The sense of fearlessness allows them to embrace anything new with gay abandon. The purpose of horse riding camps is to allow people to learn horse riding in a fun-intensive manner where they learn western style riding to rodeo riding which is more competitive in nature. They also learn skills necessary for taking proper care of these magnificent animals. Dressage and important facts about saddles and more are also taught by experienced and professional horse riders. Slowly and gradually the confidence to ride horses is derived by the riders. Children between 4-16 years of age learn riding under the tutelage of professional horse riders. The horse camps in California offer an excellent opportunity to the young people who would love to tame horses and ride them with great skill and confidence. 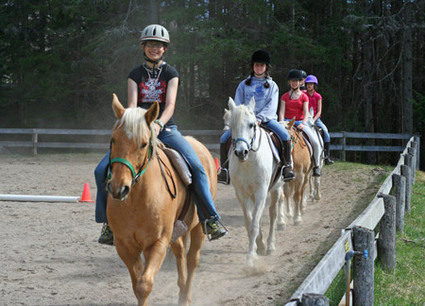 There are overnight camps as well, where horse riding fundamentals are taught in a multi day camp schedule. Once they are initiated into the world of horse riding, they are taught each and every aspect of this sport, right from the designing of saddles to how they are fitted to the horse. Horse grooming tips are also shared with young pupils. Lastly, mounting a horse, how to control this beast through the reins, how to change its direction, how to bring it to canter and many more skills are taught. Full galloping follows soon after basic skills are learned. By this time, the youngsters are confident enough to handle a horse on their own and they require little supervision. These horse camps are the perfect places to learn a full range of horse riding skills. 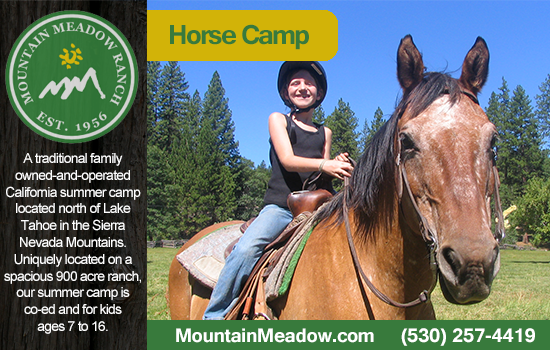 There are specific girl’s horse camps too where only girls are taught horse riding skills. They begin with mounting and dismounting a pony and after some time they focus on full heighted horses. These horse camps also prove to be a learning ground for many youngsters who decide to go for professional horse riding making it their career. Horseback riding lessons in California-Perfect for beginners!